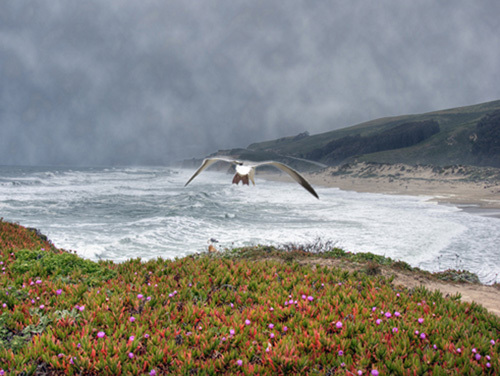 Off the pacific coast of California this image shows a seagull, flowers in the foreground and a stormy day. I really like all the motion you captured here. Always nice when the gulls cooperate!